1 For a SPECIAL SAUCE, combine ingredients in bowl. Serve with fries or as a burger or grilled chicken sandwich topping. For other great sauces try the variations below! 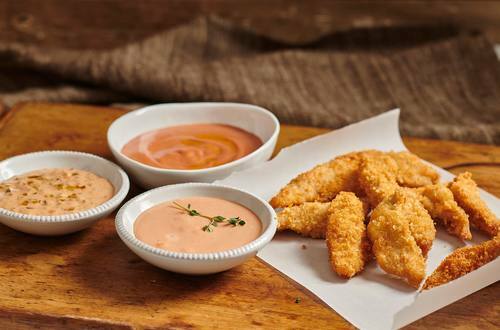 For a TRUFFLE KETCHUP SAUCE, combine 1/2 cup Hellmann’s® or Best Foods® REAL Ketchup, 2 Tbsp. Hellmann's® or Best Foods® Real Mayonnaise and 2 tsp. truffle oil in bowl. Makes about 1/2 cup. For a SUPER SIMPLE KETCHUP SAUCE, combine 1/4 cup each Hellmann’s® or Best Foods® REAL Ketchup and Hellmann's® or Best Foods® Real Mayonnaise in bowl. Makes 1/2 cup.